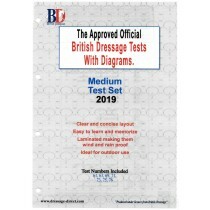 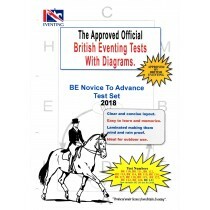 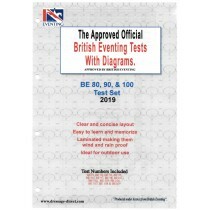 British Dressage tests with diagrams, Preliminary, Novice, Elementary, Medium, Advanced Medium, including all FEI tests from Prix St. George up to Grand Prix Special. 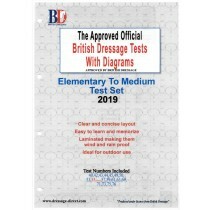 British Eventing dressage tests with diagrams 80, 90, 100, Novice and Advanced. 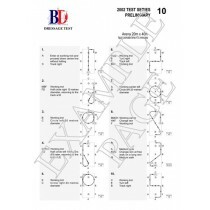 All tests are A4 in size and laminated with diagrams.